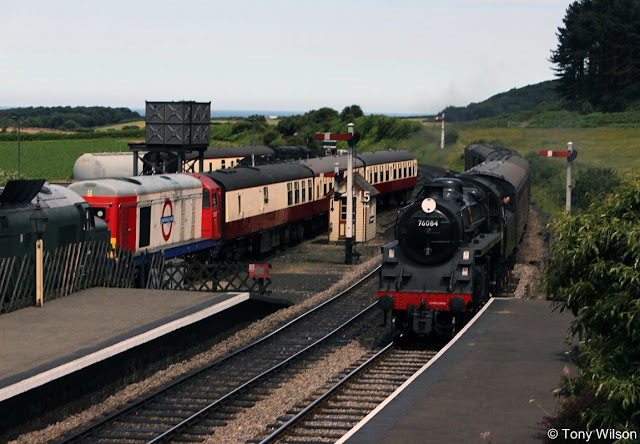 The anticipated operation of steam hauled trains from the North Norfolk Railway eastwards to Cromer is eagerly awaited as August approaches. On Wednesday 9th August the inaugural first train will use the level crossing which links the railway with the Network Rail line to the east of Station Road and High Street in Sheringham. Diesel hauled by on loan Class 20 227 it will take the line the four miles on to Cromer where it will terminate. The train will run in between the regularly scheduled Abellio Greater Anglia diesel service along the line that takes trains to and from Norwich. The return journey will be hauled by the preserved line's own British Railways Standard Four 2-6-0 steam engine number 76084, which has been suitably configured to comply with the strict guidelines laid down by Network Rail. 76084 steamed into Weybourne Station during early July with the Class 20 hitched up to the red and cream carriages that will form the first ceremonial train. 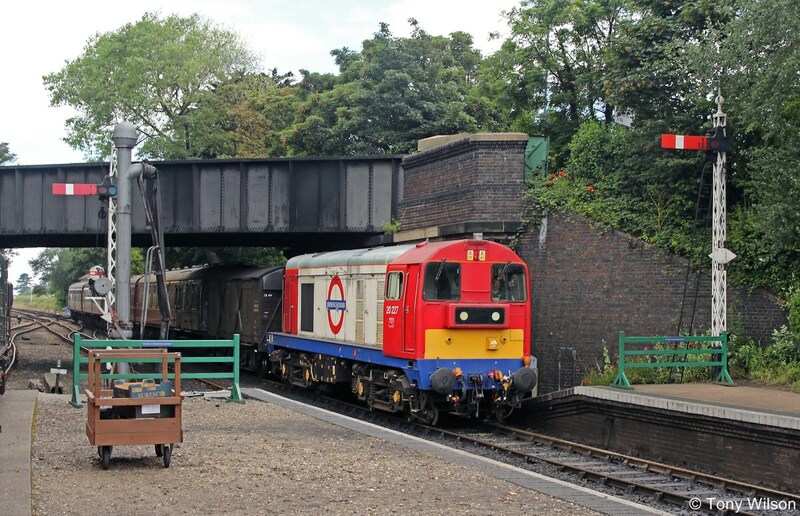 Earlier in June the on loan Class 20 227 in London Underground livery arrived into Sheringham Station with one of the regular seasonal services. After a couple of further 'invitation only' runs on the 7th and 8th September, it is anticipated that others will follow over the coming months, but is dependent upon the good will of all parties concerned.